An interesting point is the one about the administration’s public claims that Manning “had blood on his hands”, since debunked in secret. Over here that might be regarded as being prejudicial to a fair trial. 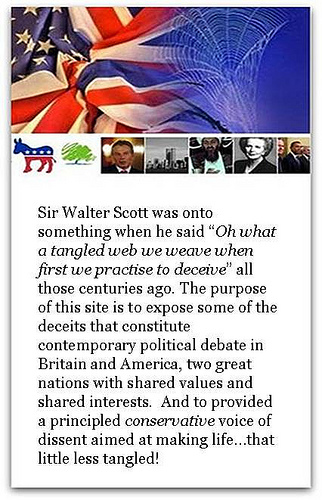 Investigations have stopped and trials collapsed because someone influential enough has blabbed without thinking. Nothing would have stopped Manning’s prosecution of course. The State cannot bear to be mocked, so he was always going to be done, but lies that were flung about ahead of his trial were pure propaganda. Instead of just bashing why not listen, and then argue with what he has to say instead of what you THINK he has to say. The DUP has said Sinn Féin’s rerouting of a controversial parade is meaningless. Sinn Féin had announced that it would re-route the parade it is holding in Castlederg, County Tyrone in August. The march commemorates the death of two IRA men who died in 1973 when their own bomb exploded prematurely. After Unionists called for the parade to be banned, Sinn Féin said the parade would no longer pass the town’s cenotaph or Methodist church. WHY would you want to “commemorate” the death of two terrorists? Admiration for fallen comrades in terror? The very fact that Sinn Fein think that the deaths of two killers who accidentally killed themselves is worth commemoration tells you all that you need to know about how little they have changed, if at all. DUP words of condemnation would mean more if they were not quite so keen to share power with those who wallow in the celebration of terror. I wonder do the majority of my fellow British citizens prefer the captivity of the EU to the freedom of their own sovereignty? British business today throws its weight behind an in-out referendum on Europe and warns ‘the status quo is not an option’. A survey of nearly 4,000 company bosses in the UK shows more than three-quarters back giving the public a say on membership of the European Union. It also reveals that British business is becoming more Eurosceptic with growing support for quitting the EU altogether or withdrawing and securing new trade agreements. However, the majority – or 61.4 per cent of those asked in the British Chambers of Commerce poll – wants Britain to remain in the EU with powers transferred from Brussels to Westminster. The last line is amusing! They want to stay IN the EU but they want powers transferred back to Westminster!!!! Are they clinically insane? The POINT of the EU “project” is to hollow out the very idea of the Nation State with its own powers and to centralise all effective decision making in Brussels. Those “company bosses” who say these things remarkably uninformed as to the precise nature of the EU. 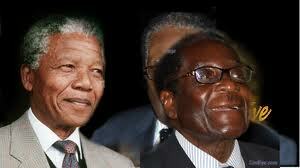 Well, today seems Zimbabwe go to the polls to re-elect Mugabe. Oh, sorry, is that tad cynical? Under the stony gaze of marxist thug Mugabe, Zimbabwe (pictured here with his good friend, Mandela) has turned into a shambles of an economy, with a currency that is worthless, with abject poverty for many people, with murder rates that are astronomical and with a “democracy” that is a sham, controlled by Zanu-PF. Once upon a time, when BRITAIN ran this country, it was renowned as the bread basket of Africa, such was the economic success of the country. Giving it independence, has transformed it from breadbasket to basket case. Here’s an interesting mid week post from Seimi..
“Last Friday night, a house and a number of cars were attacked in west Belfast, in what police have called a ‘hate crime’. According to local reports, a crowd of between ’50 and 100′ youths, Nationalists, entered Ringford Park, in the Unionist Black’s Road, an ever-decreasing ‘Unionist enclave’, adjacent to Stewartstown and Lenadoon, and not very far from Poleglass and Twinbrook (all CNR areas), and attacked the area. The following night there was, apparently another, lesser attack. The thugs who carried out this attack all seem to have come from nearby Brooke Park, where a party was taking place. The mother of the young man whose party it was claims the party was only supposed to be for her son and a few friends, but someone posted the address on Facebook, and ‘hundreds’ arrived. The PSNI were called to the scene, but ‘…no offences were noted by police in regard to this incident.’ It appears that this was the crowd who then went on to attack the people on the Black’s Road. Local political representatives, from both sides, were quick to condemn the attack, with the SDLP’s Alex Attwood calling it ‘appalling’, Sinn Féin’s Matt Garrett calling it a ‘sectarian’ attack, and the DUP’s Ruth Patterson, calling it a “very unprovoked, sectarian hate attack on the people of Suffolk”. Local community representatives, from the various parties, the local community organisations, the police and the church were very quick to condemn the attacks individually and collectively, and immediately came together to try and diffuse and resolve the situation. It is quite clear that this was an unprovoked sectarian attack on innocent people. This is an area I walk and drive past on a daily basis. The PUL community on the Black’s Road has been shrinking for years, as more and more people move out. This could be for a number of reasons – better housing elsewhere; the growing CNR population around them; employment issues; or just simply intimidation. This claim might hold a bit more water if she didn’t also claim that “… each and every one of them… (had)… a hurling bat in their hand,” and also if the idiots involved weren’t drunken teenagers coming from a party. This assertion has not been verified by anyone else so far, yet has prompted at least one commenter on another site to confidently claim that the GAA are providing weapons with which to arm Nationalists as part of an ‘attempted pogrom’. This is much closer to the truth than ‘the GAA are handing out weapons.’ As I said, I pass the area on a daily basis, both during the day and at night. I have seen the change in the area. I have seen the community reps at the weekends, late at night, standing alongside PSNI officers, ensuring there is no trouble between the two communities. I have watched people cross the road and talk to each other, and I have attended meetings where both sides sit down and talk, not about each other, but how to improve the area in which they both live. I have also been on the receiving end of a brutal attack by members of the ‘other community’ in this very area, so I know, first-hand, how much the area has changed. The thugs who carried out this pointless, sectarian, hateful crime, should be found and punished accordingly. The Blacks Road/Lenadoon/Suffolk interface is a good example of how dialogue between the two majority communities in Belfast can be positive and productive, and this instance of drink and drug-fuelled hatefulness from a group of people too young to know what it was like when things were really bad here should not be taken as the standard for the area. Crazy Lady to head Homeland Security…. God help us. Just two weeks after Janet Napolitano announced her resignation as Secretary of Homeland Security , the Congressional Black Caucus has suggested Rep. Sheila Jackson Lee of Houston fill her spot. 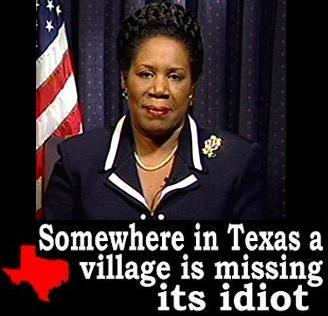 A letter dated July 25 and signed by Rep. Marcia Fudge, Ohio Democrat and caucus chairwoman, urges President Obama to consider Miss Jackson Lee for the position, calling the Democrat a “voice of reason” that the agency could stand to gain, the Houston Chronicle reported. This is also the woman that when the rover landed on Mars asked if they could get it to go to where our Astronauts had plated the American Flag. She is dangerous, severely stupid and is the last person that should be given that kind of power. So many people doubt that the U.S. sits on the largest Oil Reserves in the world. 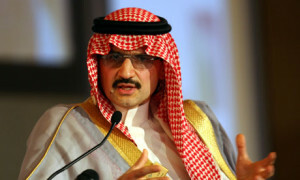 Well one of the people who doesn’t doubt it, and understands that it will be developed is Prince Alwaleed bin Talal. He went nuts the other day on the rest of his Royal Family that they need to diversify the Saudi Economy because the fracking and Shale Oil extraction that is about to erupt in the U.S. will destroy their economy. Prince Alwaleed bin Talal, the billionaire Saudi Arabian investor, has warned that his country’s oil-dependent economy is increasingly vulnerable to competition from the US shale revolution, setting him at odds with his country’s oil ministry and Opec officials. “Our country is facing continuous threat because of its almost total dependency on oil,” he wrote in the letter, copied to King Abdullah, Prince Alwaleed’s uncle, among others. Opec officials have sought to play down the threat posed to the kingdom from surging North American oil production, which saw US imports from Opec members tumble to a 15-year low last year. “The world is increasingly less dependent on oil from Opec countries including the kingdom,” Prince Alwaleed wrote. Speaking in Washington in April, Mr Naimi, who has been the country’s oil minister for almost 20 years, welcomed increased American output as a stabilising influence on global oil prices. He also pointed out that Saudi crude exports to the US actually increased in 2012. That is largely because US refiners have not been able to replace the kingdom’s heavy and sour crude oil. But Prince Alwaleed rejected Mr Naimi’s assessment, although he focused on rising US gas output rather than the country’s crude oil production, which saw its single largest annual increase ever last year. “We disagree with your excellency on what you said and we see that raising North American shale gas production is an inevitable threat,” Prince Alwaleed said. You think we MIGHT have a bit of a problem with huge numbers of Eastern Europeans coming to Blighty? More than 80,000 Bulgarians are likely to move to Britain in a new wave of large-scale migration. According to a poll conducted for the European Parliament, Britain and Germany are favoured destinations. The survey, carried out by the Afis organisation, provides fresh evidence that tens of thousands of Romanians and Bulgarians are poised to migrate to the UK. Tell, you what, take that 80,000, THEN double it, and you have a sense of what lies in store for our already overcrowded island. The truth is that this tsunami of immigration is coming, it cannot be stopped whilst we remain mired in the EU, and the demographic consequences are nightmarish. Bulgaria and Romanian immigration carry severe risk to the UK – for example police have stated that most ATM crime here is carried out by Romanian gangs. Yet we can expect hundreds of thousands extra immigrants bound for the UK from the beginning of 2014 when temporary curbs are lifted! The Home Office last year identified nearly 100 suspected war criminals who had made UK immigration applications, figures released to the BBC suggest. The majority of cases involved people already likely to have been living in Britain for a number of years. Suspects originated from countries including Afghanistan, Iran, Iraq, Libya, Rwanda, Serbia and Sri Lanka. The irony is that under Human Rights Law, most of these war criminals get to stay in the UK because they can claim they will be treated badly if they were to be returned to the land where they committed their crimes! How perverse is that and what greater exposure of the utter folly of “Human Rights: law that it can be used to provide sanctuary to some of the greatest Human Rights abusers on this planet? There is the additional irony that the UK taxpayer must then cough up the cash to keep these war criminals in the style to which they have become accustomed in the UK!